"Matt has a very professional demeanor and is very well spoken. He understands how to take a vision, whether it be a program and/or process, and move it from ideation to implementation while considering the obstacles that may arise. 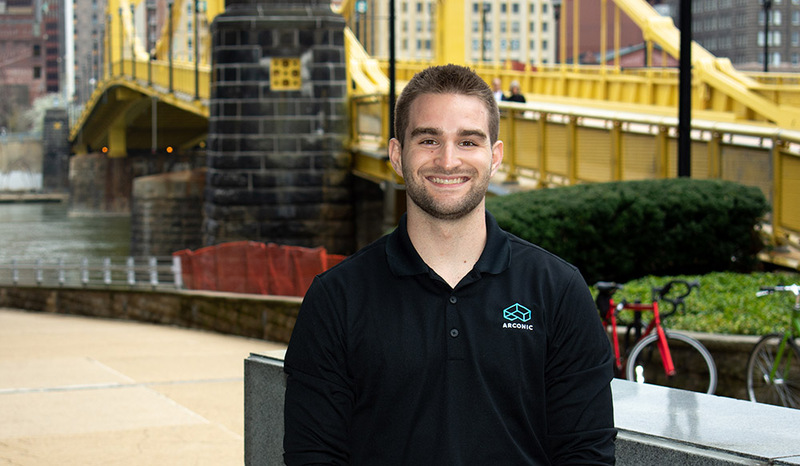 I think that this is a true testament to Matt’s education, as well as his experience as a graduate assistant while completing his degree at Point Park." "Building my classroom knowledge and soft skills have helped me tremendously in my career as I have been able to communicate with a diverse pool of colleagues and network throughout various industries." Why did you choose our M.B.A. program? I chose Point Park University’s M.B.A. program for a variety of reasons. First, the class schedules allowed me to work during the day and earn my degree at night while maintaining a healthy personal schedule and social life. Also, my graduate assistantship in the Office of Student Affairs afforded me a wide variety of opportunities to work with great people throughout the University and to experience various events. Lastly, the professors I learned from were very knowledgeable and came from diverse backgrounds in a variety of industries, which helped me gain unique perspectives on the given topics. Tell us about the work you do for Arconic. As a university relations recruiter for Arconic, I am part of a team that is responsible for the organization-wide internship program. Part of my duties include building relationships with several schools throughout the country, attending recruiting and professional development events, interviewing students and building out the programming and development pieces for the interns. How have your M.B.A. classes helped you advance professionally? Of course, the M.B.A. classes I took gave me a more in-depth look at various topics, but I also gained different perspectives by listening to my professors and classmates during lectures and discussions. In addition, I networked with great people in my classes, some of whom I still communicate with today. Building my classroom knowledge and soft skills have helped me tremendously in my career as I have been able to communicate with a diverse pool of colleagues and network throughout various industries. I have quite a few fun memories from grad school, but my favorite memories are from the Alternative Spring Break trips I was able to attend. As part of my assistantship, I was assigned as a chaperone for two trips, one to Lafayette, Louisiana, and one to Washington, D.C. The basis of each trip was to provide community service to communities in need. It was fun to be a part of and awesome to see a group of students from various majors bond over that one-week time period. It was also cool to explore new cities. The experiences I had and lessons I learned at Point Park are a cornerstone for me both personally and professionally. While working in the Office of Student Affairs, I was afforded the opportunity to learn from a lot of great people ranging from Athletics to Student Engagement to Career Development, amongst many other areas. Point Park provided me a well-rounded experience both inside and outside of the classroom.